Hopefully, you all are already prepping for the holiday season that is going to come in a few weeks time. 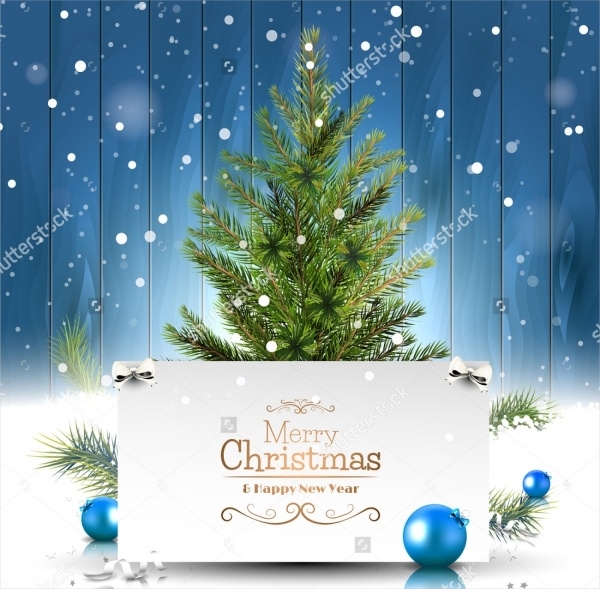 It is going to be a time to spend with your family and friends and celebrate the joyous occasion of Christmas and New Year. 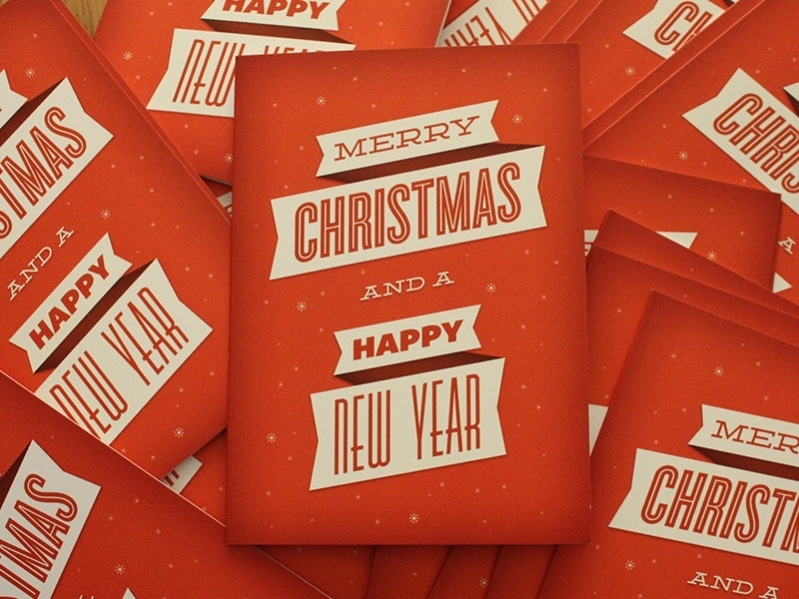 Apart from food and drinks, you might need cards as well to greet and invite them to your place for the celebrations. 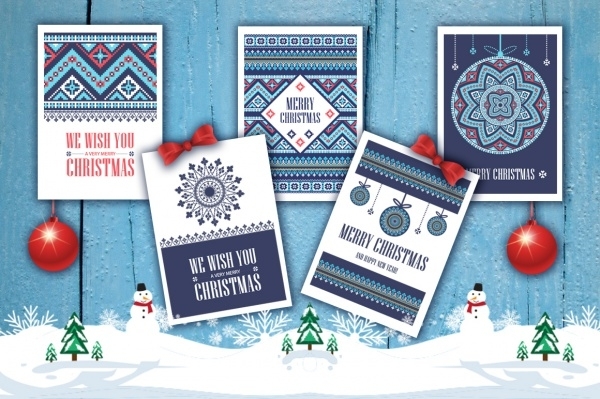 You could check out some Free Christmas Cards for the design inspiration and also have a go at these beautiful merry Christmas cards. A great typeface can do all the work for you and you can just go with it on a blank paper for a great greeting card design. And here is such an example that you can download in PSD and AI file format. 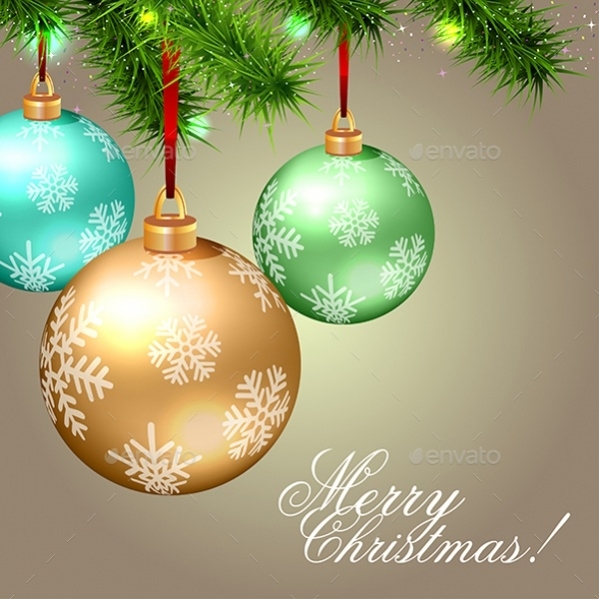 You may also see Free Christmas Images. 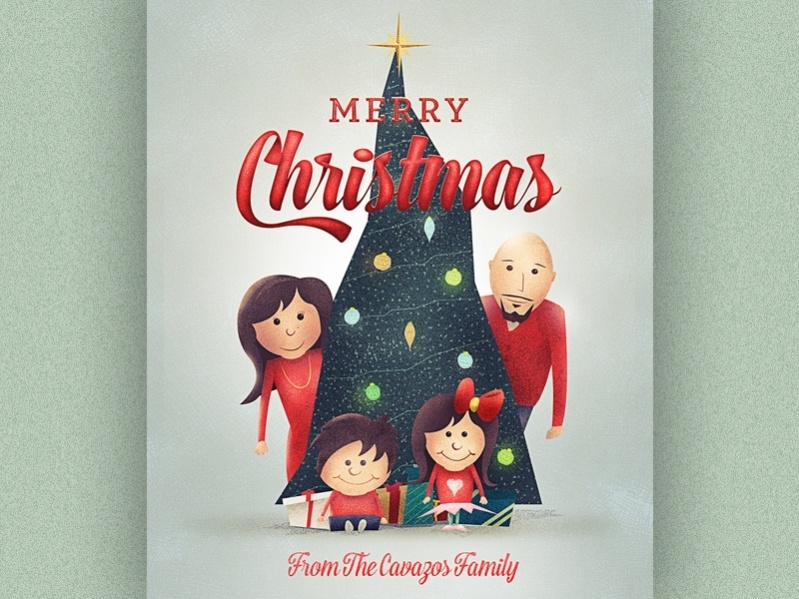 Check out this cool work by Joe Cavazos for a family portrait around a Christmas tree. You can add illustrations of your family members instead and use this as a design reference for a Christmas card. You may also see Free Printable Christmas Coloring Pages. 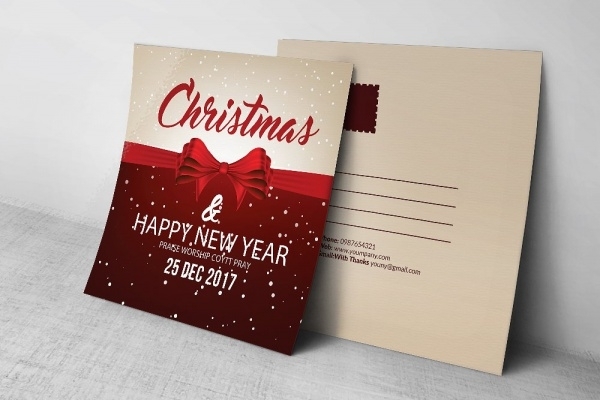 Here is a cool Christmas card design that you can also use for an invitation for your Christmas party which is available to you for free as a stock vector illustration. You may also see Cool Christmas Photos. This one is the first premium item in the list that shows an editable design available in eps file format. 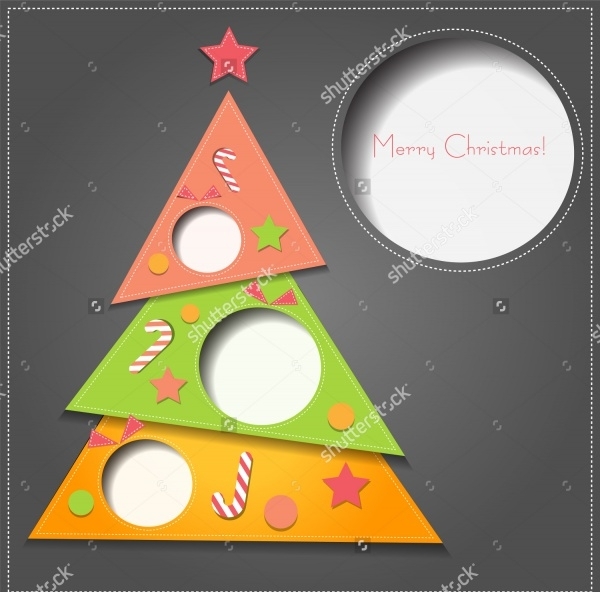 The design includes multiple elements of Christmas and you can download it from the given link. This one is already designed for the coming year, which means most of your customization work is already done for you. You can use this design as a postcard set in CMYK colors. A background that works great for you might be difficult to find. But not if you work with patterns, like this one that uses a wooden texture for that. Download the stock vector illustration here. 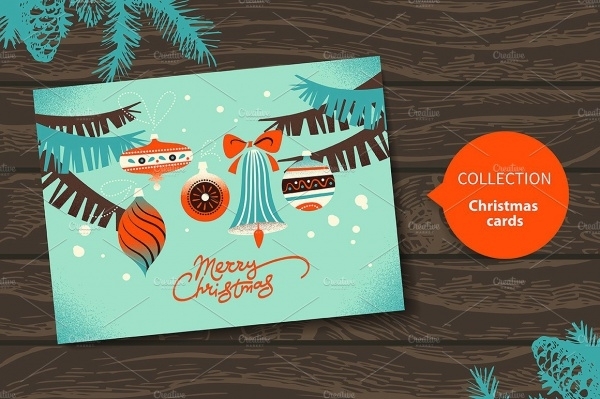 Here is a collection of professional designs for greeting cards and holiday tags that use multiple colorful design patterns. You can check out the work of the Russian artist here at the below-mentioned link. Here is the work by Tess Donohoe and shows a greeting card design for Christmas that again works with just the typography. You can use it as a reference and pick a great novelty font for your design. 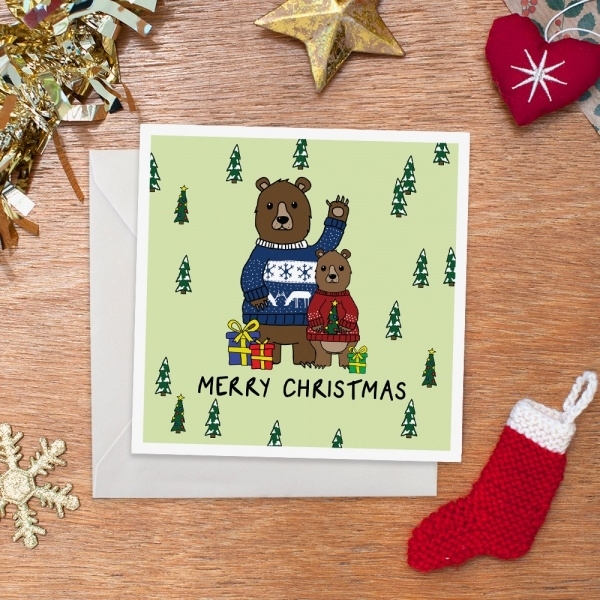 Add a bit of funny touch to your design like this card design that shows bears wearing Christmas sweaters. You can use this as a design mockup or order it online from the given link. Illustrations and artwork really add to the beauty of the design. And you can simply place them as the cover image for your greeting card. Use this illustration for the same. 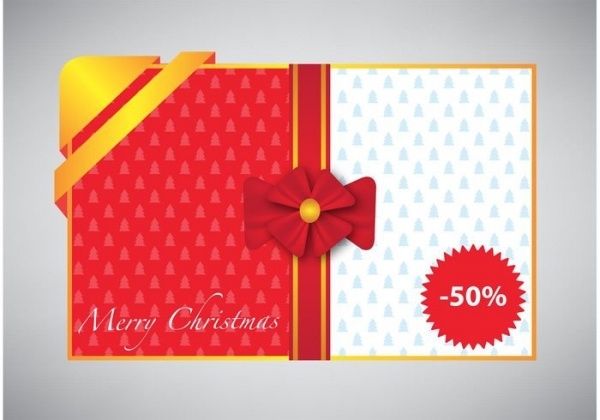 This is a greeting and gift card design that uses negative space to give a great look to it. This design can be customized on the web itself at the given link from where you can order or download the card. Paddy Donnelly has shared this Christmas gift design with us to use as a design inspiration. And it is always a great idea to self-design a card to send out to your friends and family. Here is the work of graphic designer Habib Feghali. The greeting cards can be used for inspiration purposes, wherein you can add the text in a better choice of casual font. 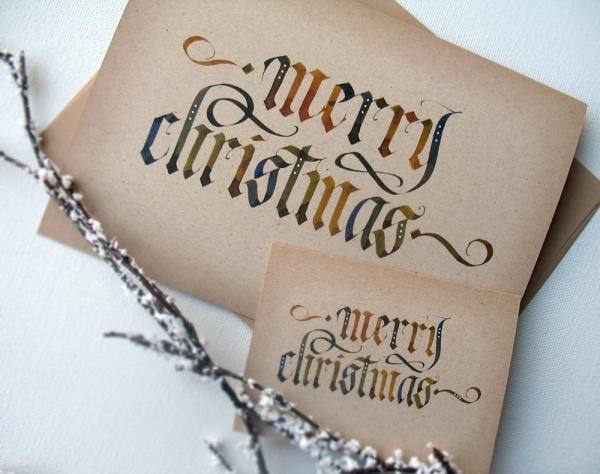 As the name suggests, here is a simple, classic and elegant design for a Christmas card. The design is available to you as a high-quality stock vector illustration that you can download for free. 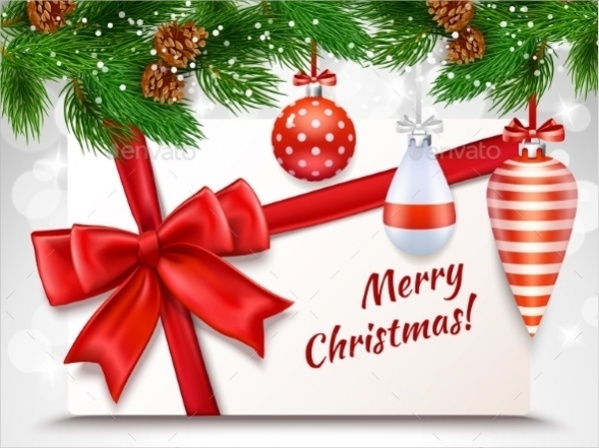 Here is a handmade Christmas greeting card design that is filled with clipart Christmas greeting card image. Find this great design idea as a mockup for your original card design. 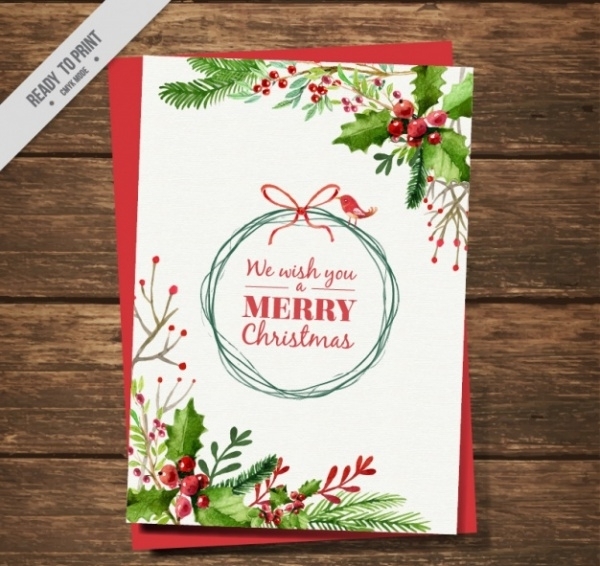 How to use these “Merry Christmas Cards”? 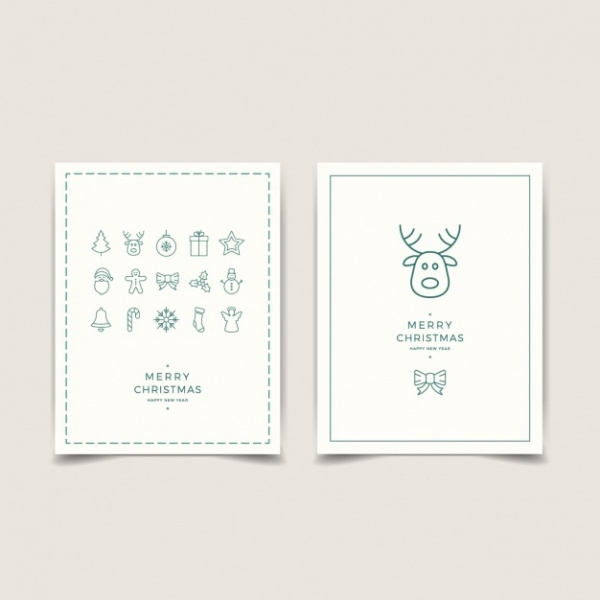 To use these free printable Christmas cards, you will have to first download them into your resource pack. And once done, you can open it up in either photoshop or illustrator or an online editing tool, where you can make the changes like the names, date, text or color. If you are using it as a reference, then you can simply go to the link where the design is at, and have a good look at it before working on your self-designed greeting card. Make sure the original designer gets the deserved credits for his or her hard work. 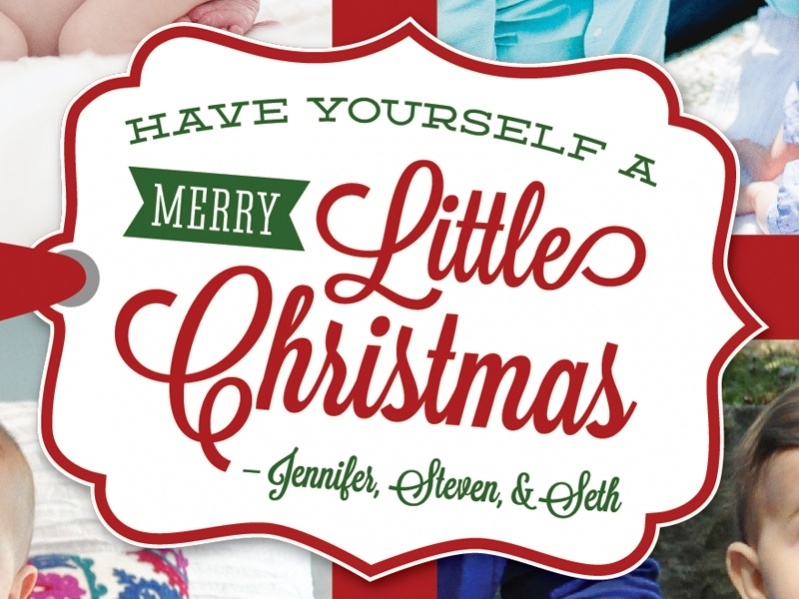 That is the least you can do for these merry Christmas card designs. So now you don’t have to worry about your Christmas cards and invitations at all. To work on an invitation, just use the same design elements that you see in the card designs here, and get done within minutes. 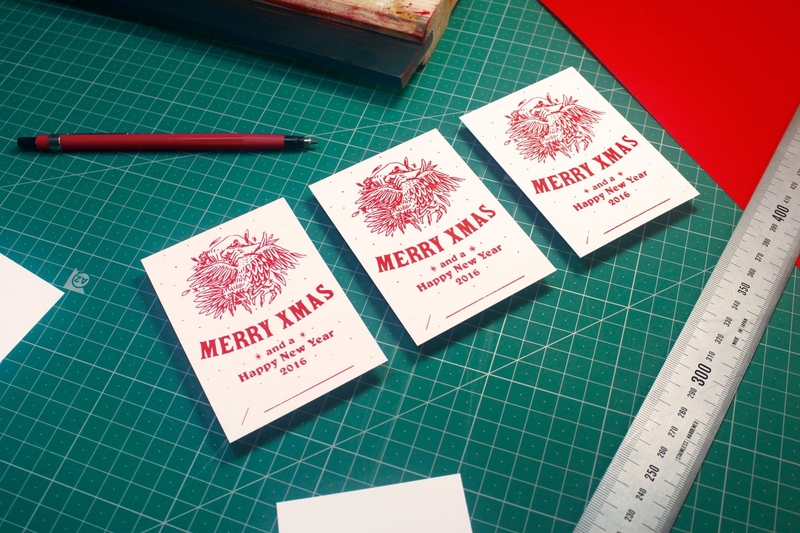 Also, have a look at these other free card designs for occasions that are not just Christmas. 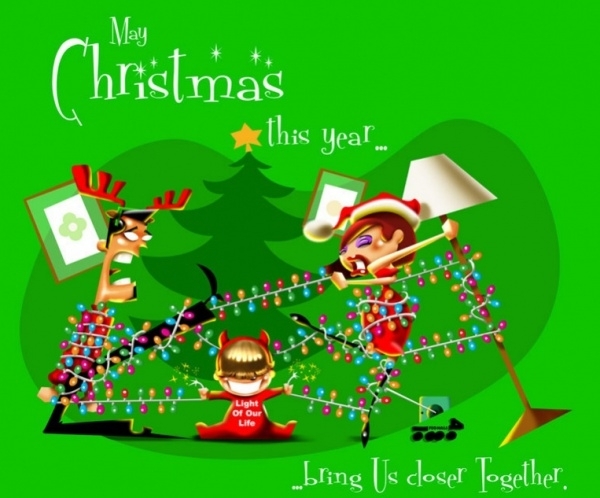 You may also see Merry Christmas Images.